First off, I wanted to share my resolutions with you! 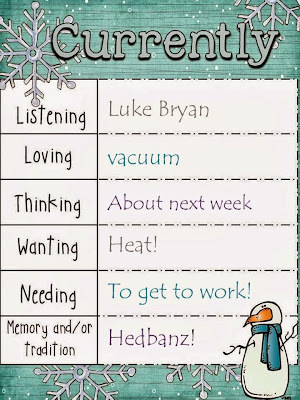 Thanks to Brandi at Peach for the Teach for this fun linky! Personal: I used to love reading! Somewhere between graduating college, beginning my career as a teacher, and coaching, I've lost the motivation. I would love to not only read a book for me, but also a children's book, so I can be better at recommending good reads for my kiddos. Professional: My district has a 2 year mentoring program and it requires a portfolio. How your portfolio is done is up to your building principal. I haven't received much guidance on it, so I haven't really done much with it. But I apply for my standard license in 1 year, so I need to get on it! Classroom: I feel like I've let my students down somewhat before break. I took the easy way out, and didn't do enough hands-on activities. When we get back, I really have to cram in a lot of stuff to prepare them for Iowa Assessments in February, but I want to make it meaningful. Blog/TpT: I need to blog more, period. I also need to tackle the list of products to create for TpT. Hmph. Next up is Currently with Farley at Oh Boy 4th Grade! Listening: I love this man. I've seen him in concert twice...awesome performer! Loving: I just bought a new vacuum, Bissell CleanView Rewind Pet with One Pass Technology. Sounds really fancy, right? It is awesome! Only our the bedrooms have carpet, but we have a big floor rug in our living room and let's just say it really does the job! Thinking: I was told the last day before break that I was getting a new student on Monday. I'm excited about it, because unlike all of my other new students, he will be coming in at the perfect time! I just hope I don't get any other new ones for awhile...or that I lose any! :( I hate seeing my kiddos go! Wanting: So I'm currently (haha) in my classroom, and of course the heat isn't on. Brrrrr! Needing: I came in to rearrange my room, library, and plan, but you see how that's going... Oopsies! I hope you are having a great break and I wish you a wonderful 2014! LOVE your blog design background!!!! 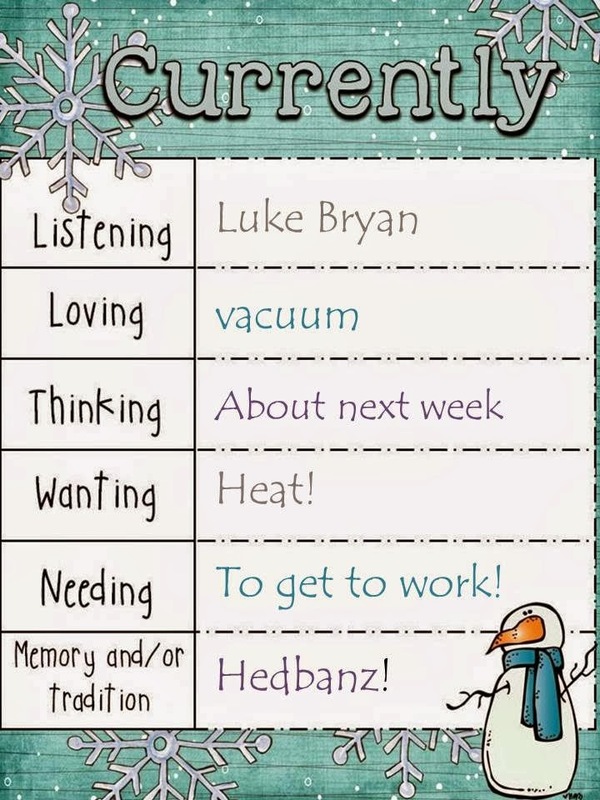 And I love Luke Bryan and am soooo jealous you've seen him in concert ;) Happy 2014! Thanks for visiting my blog. I also love Luke Bryan. I have only seen Brad Paisley in concert and that was awesome! I don't think I could get any work done in a cold classroom! Happy New Year! Anywho, I absolutely love your blog! Your resolutions are great, and it sounds like your kiddos are super lucky to have you! Thanks so much for linking up with me for this linky. Happy New Year!